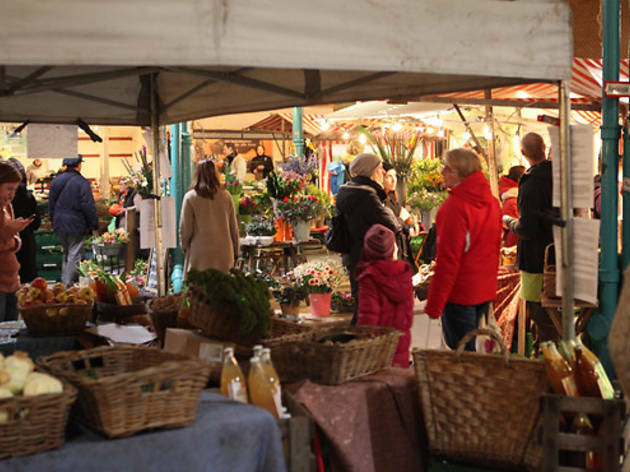 In Berlin, shopping is a jumble of wildly diverse elements: the traditional, with classic department stores like KaDeWe; the local, with lively markets offering up the best regional produce; and a love of craft and art fanzines galore at shops like Motto. 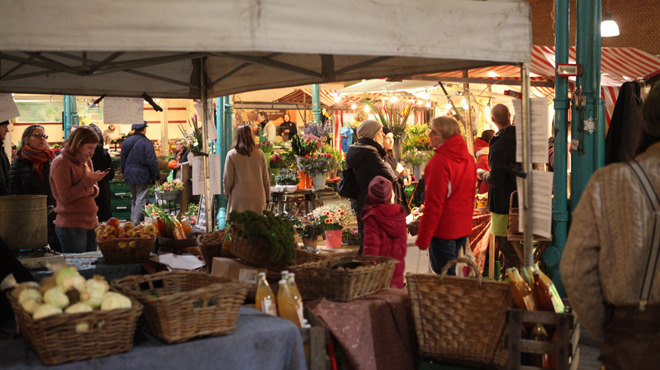 The best thing to do is just start walking: Berlin has no distinctive shopping neighbourhood, and some of its treasures can be found in the least expected places – a hidden inner courtyard like Kreuzberg fashionista favourite Voo – with many popping up for only weeks at a time. 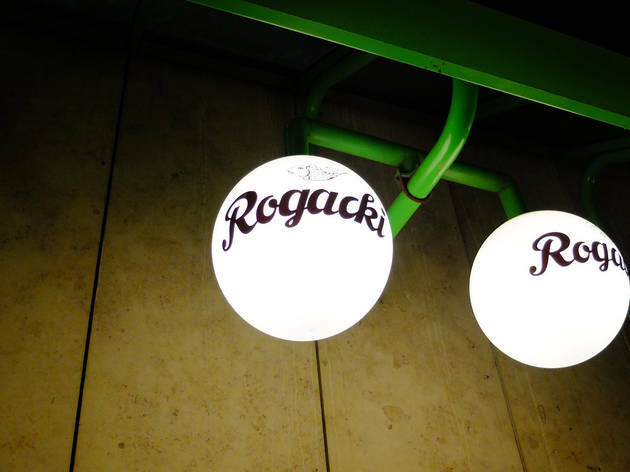 Berlin, with relatively cheap overheads and a massive DJ population, also has a thriving record shop scene centred around places like Oye and Hard Wax. 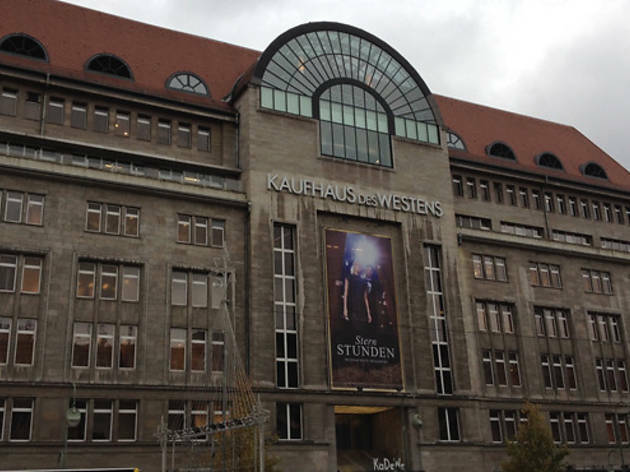 More conventional shopping can be found on Kurfürstendamm in the west, with an Apple store and flagship Uniqlo. 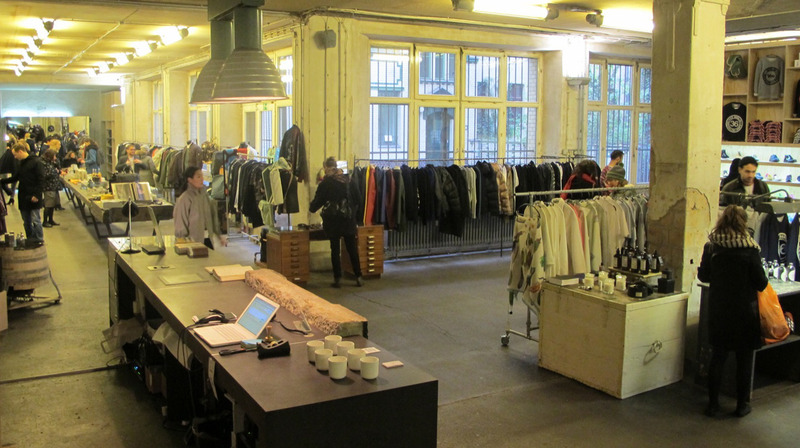 In the east, Friedrichstrasse offers a similarly upmarket selection, but with slightly younger fashions at places like the Quartier206 store. 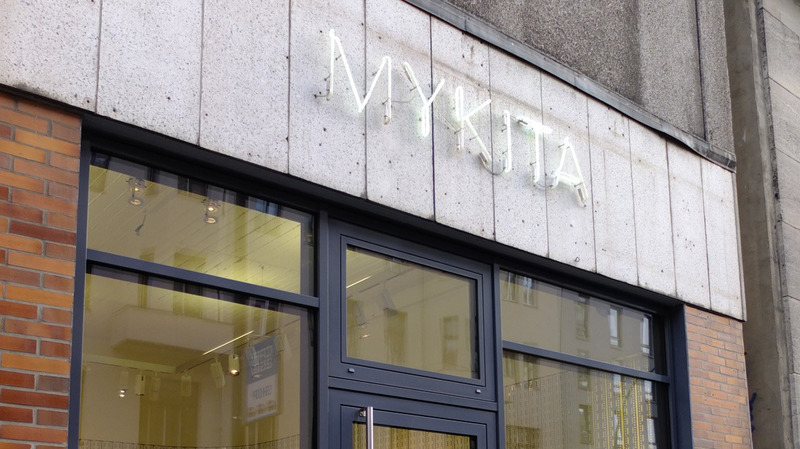 For cutting-edge designers, head to the area around Mulackstrasse in Mitte, where many have opened interesting boutiques or try Das Neue Schwarz, for haute-couture at knock-down prices. A word of warning, don't expect to do much shopping on a Sunday; laws still remain in place from a more religious age limiting trade on the day of rest. 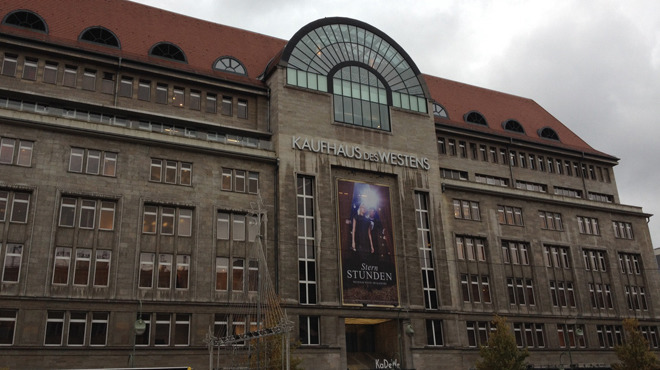 This even extends to supermarkets, with only the major train stations like Hauptbanhof allowed to keep them open. 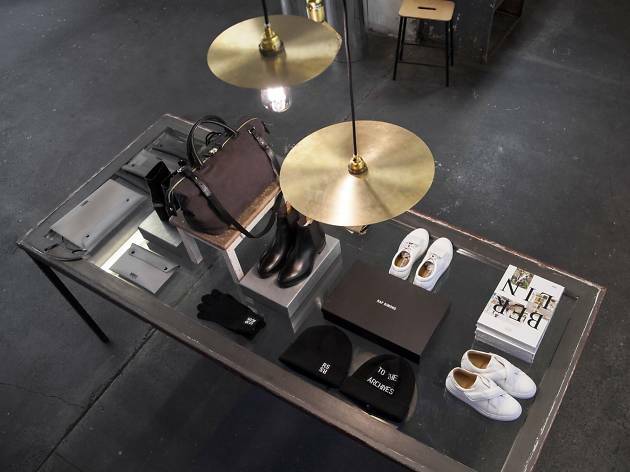 The Voo concept store brings sleek fashions to an area usually associated with punkier looks. 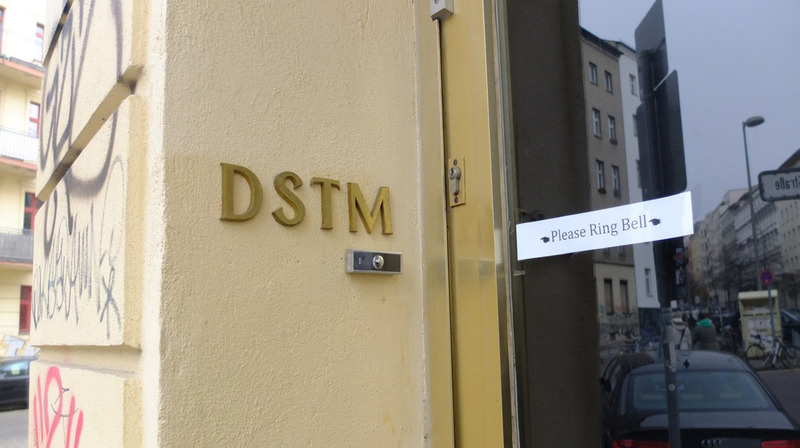 The expansive space, discreetly hidden in a courtyard off Kreuzberg’s busy Oranienstraße, is all untreated concrete walls and bold lighting, something typical of Berlin’s beloved industrial aesthetic, while the eclectic designers stocked also maintain a uniform identity of rigid lines and quality materials. They carry well-crafted outerwear from minimal Swedish favourites Acne, classic New Balance sneakers, colourful Kenzo print sweaters and a selection of accessories like Raf Simons' collaboration with backpack brand Eastpak. 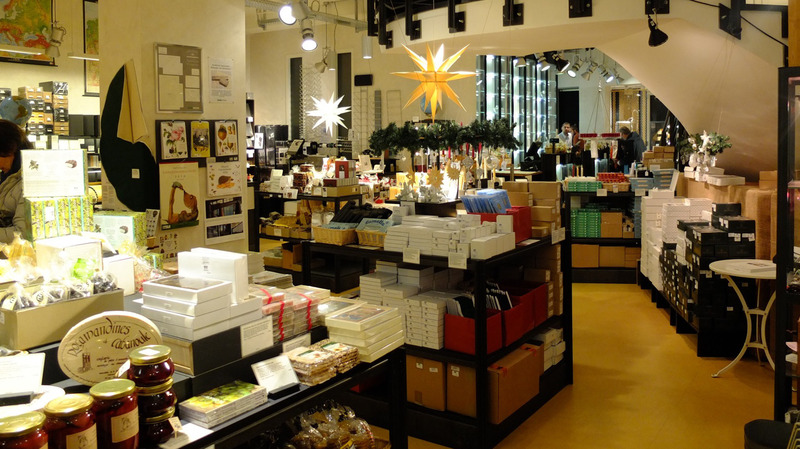 There’s also an in-store third-wave coffee bar, Companion Coffee, where you can get a fine macchiato while perusing luxury magazines like The Travel Almanac. Whereas most countries have tawdry televised MasterChef competitions, in France the title of ‘Maître’ really means something and can be applied to many culinary arts, from roasting meats to storing cheese. 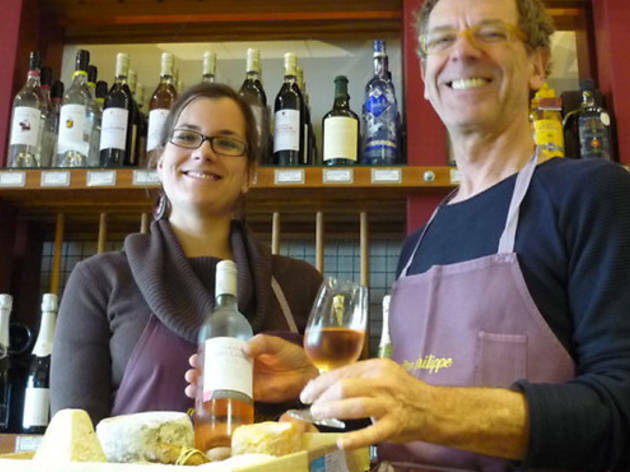 The chef-proprietor, Phillipe, along with his daughter Anaïs, make this a family affair, selecting only the best cheeses France has to offer, as well as a few from further afield. For a dairy-loving country, Berlin is lacking in its cheese availability, most of it the industrial and pre-sliced variety. Here there’s a wealth of cheesy goodness, of all three major milk varietals, like nutty Ardi Grasna sheep’s cheese, crinkly-skinned Chavignol goat’s cheeses or dense aged Comté from cow’s milk. These are all sourced from small producers, usually farming collectives working under EU-controlled AOP certification, using traditional methods that respect their local environment and terroir. Most importantly, they take real care with delivery and storage, as goat’s milk cheeses are particularly prone to spoilage. 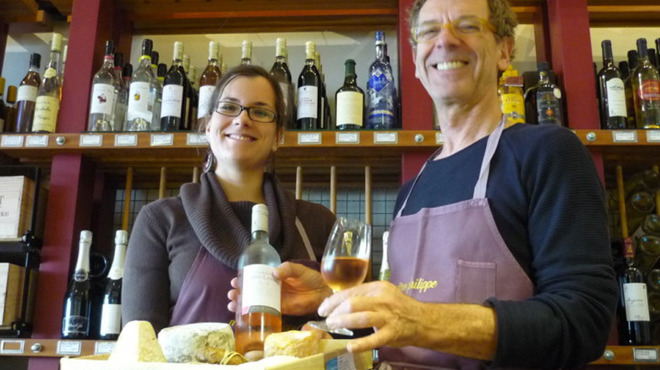 High-grade tinned fish, charcuterie and wines are also stocked. There are plenty of young Berlin designers cutting their chops at boutiques around the city, but Canadian-born Jen Gilpin’s label Don’t Shoot The Messengers is easily the definitive city look. Local influences can be read from all over: shades of Marlene Dietrich’s austere raunchiness and even the complex fastenings of fetish-ware are apparent in the billowy clothing, made mostly in fine black silks and leather. Angular cutouts offer up glimpses of flesh, and sleek shapes are conjured up by inventive draping that proves Gilpin’s skilled technique. 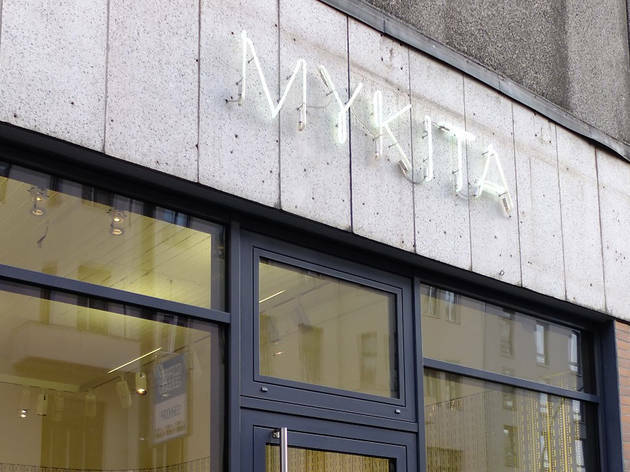 Their handsome Mitte boutique is definitely worth a visit, and their line runs from elegant leggings to layered wool overcoats, with surprisingly affordable prices to boot. 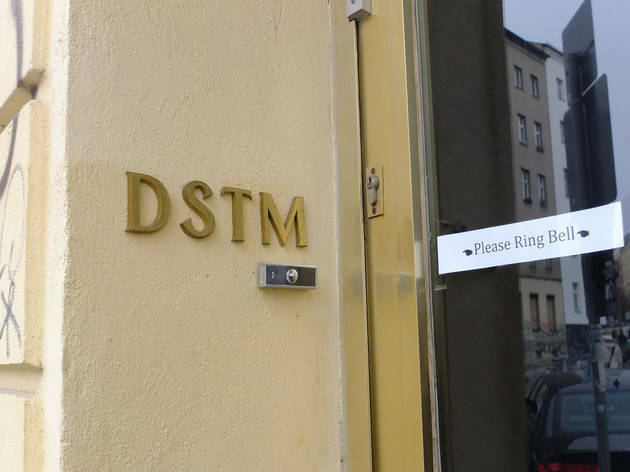 They even have the Lady Gaga seal of approval: she was spotted wearing little else than DSTM lingerie and a fur coat for her album release party in Berlin. The Murkudis brothers are a design duo with the Midas touch. 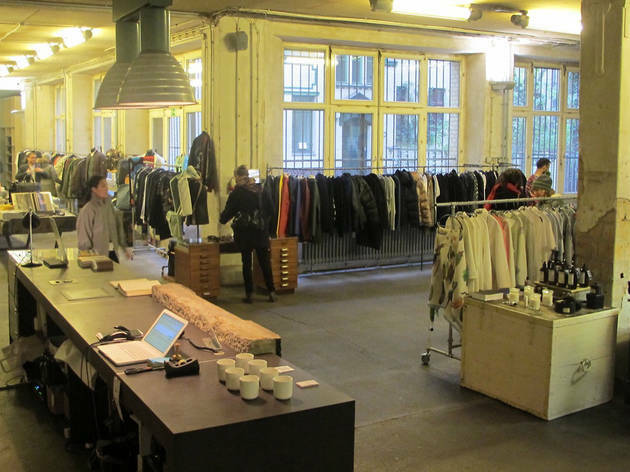 When Andreas Murkudis opened his cavernous new concept store in a quiet Schöneberg courtyard during Berlin Fashion Week in July 2011, there were whispers in the fashion crowd that his decision to set up shop here could help transform the sleepy neighbourhood into a shopping hotspot. 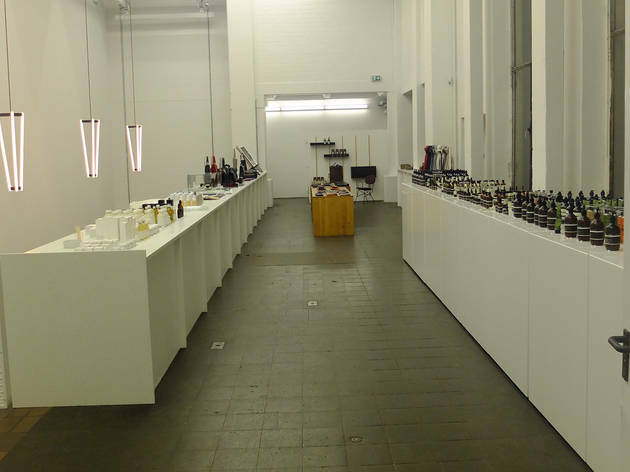 This hasn’t exactly happened, instead he joins the cluster of art galleries that have begun sprouting up in the area, the Berlin-branch of Blain Southern situated in the same ex-Tagesspiegel complex as his shop. 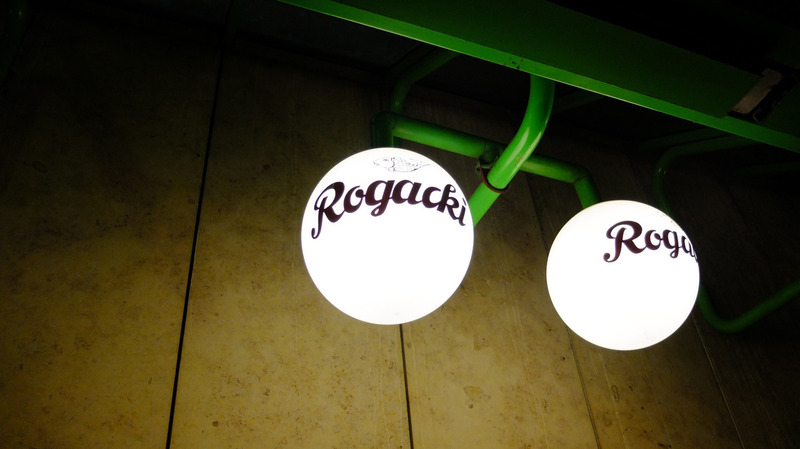 The interior is white, stark and immense, with neon strip lighting. Clothes (by brother Kostas Murkudis, Dries van Noten and Maison Martin Margiela to name but a few) are immaculately displayed amongst items of contemporary furniture, porcelain and homeware by brands such as Nymphenburg. True to German form, their bread is dense and healthy, usually involving rye, seeds and made from sourdough: no pasty white sliced loaves here. 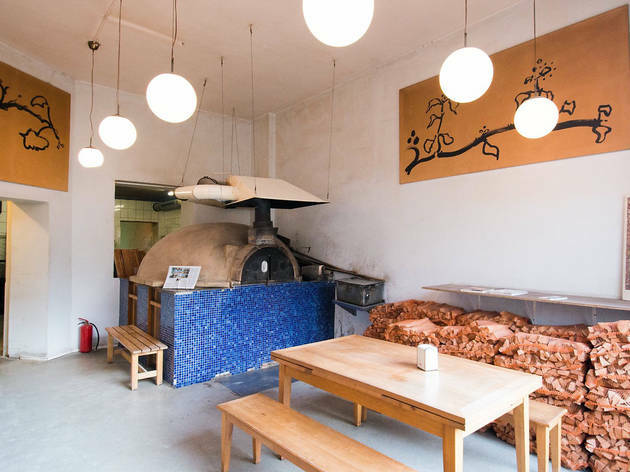 You can find some of the best in town at this unassuming Kreuzberg bakery that even supplies some of the city’s Michelin-starred restaurants. Sadly, their master baker Peter Klann passed away in 2013, but his legacy lives on and they continue to produce a vast array of organic breads in the traditional style. Their signature loaf is the Rundling, a hard-crusted country bread made from rye with a little wheat flour. 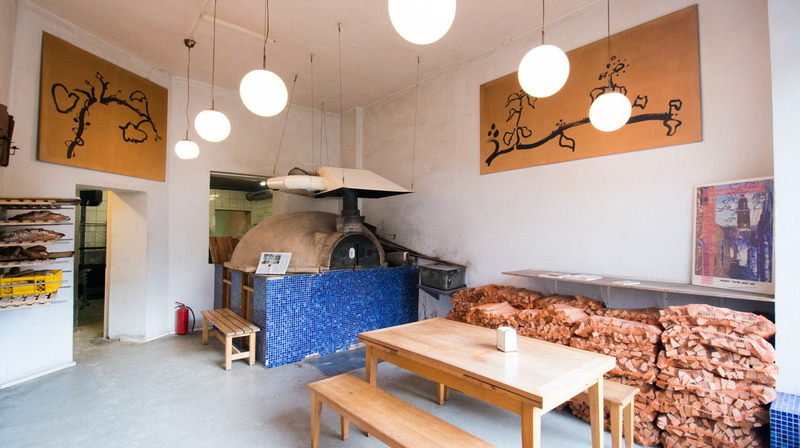 There are a number of small tables where you can also sit with a coffee and pastry to let the gentle aroma of baking bread waft over you from their wood-fired dome oven. Manufactum was founded in 1988 by a high profile Green Party politician as a counterpoint to cheap mass production, and quickly developed a cultish following with its ironic catalogue and impeccable product selection. It continues this same tradition today with a particularly German focus on high production quality, classic designs and sustainable material. 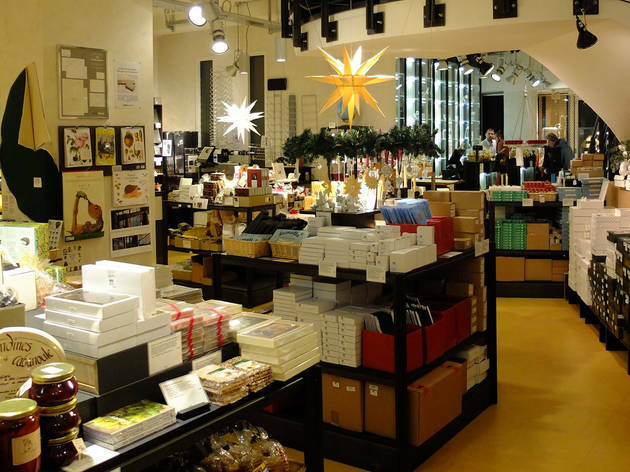 There are eight Manufactum stores in Germany, with an online shop popular across Western Europe and the US. The product line is extensive, selling rugged tools like Sweden’s Gränsfors axes, rare-breed canned meats, Scottish knitwear made of yak wool and traditional Frisian ice skates. Everything is selected for durability – their work boots are the kind that’ll last a lifetime with proper care, and the prices do reflect this. 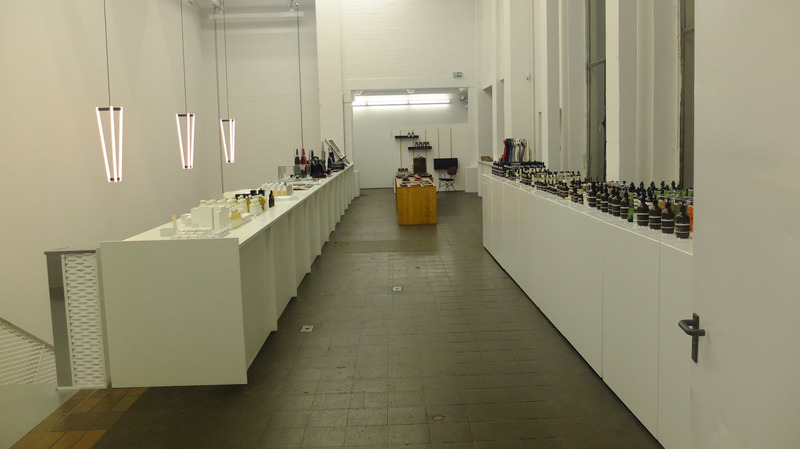 They also have a splendid line of products sourced from monasteries across Europe, including mustards made by Czech Trappists, fragrant soaps from French Benedictines and historic Damascus steel forged at the Königsmünster Abbey. The Berlin-based glasses label has long been a mainstay for all fashion conscious locals since 2004, but the brand has hit the big time in recent years and some of their more experimental frames have been picked up by the likes of Lady Gaga and the Black Eyed Peas. The slick Hackescher Markt store recently underwent a revamp, and now perfectly showcases their extensive range of eyewear. 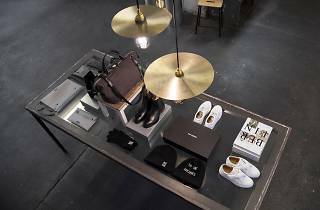 Creators Philipp Haffmans and Harald Gottschling present their hand-made prescription frames and sunglasses on stark, industrial shelving units in this beautifully lit, ultra-minimalist store. There are a various different style ranges, dainty rimless specs, chunkier vintage numbers and their many collaborative models, like the 50s-inspired Beth Ditto shades or the over-sized sun visors from Bernhard Willhelm.